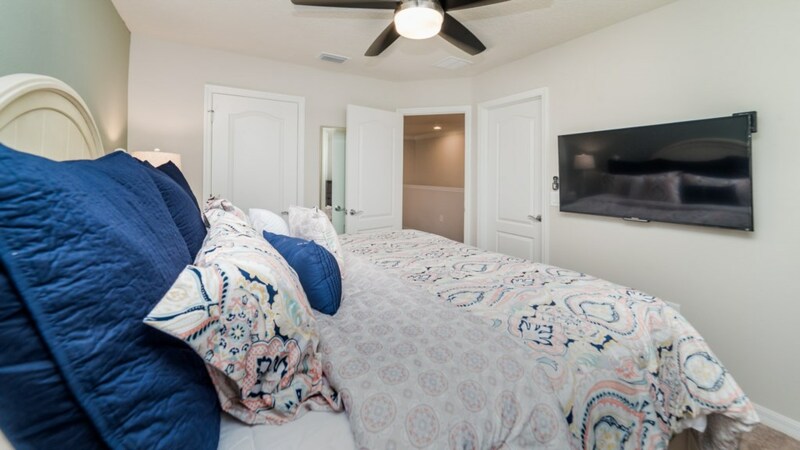 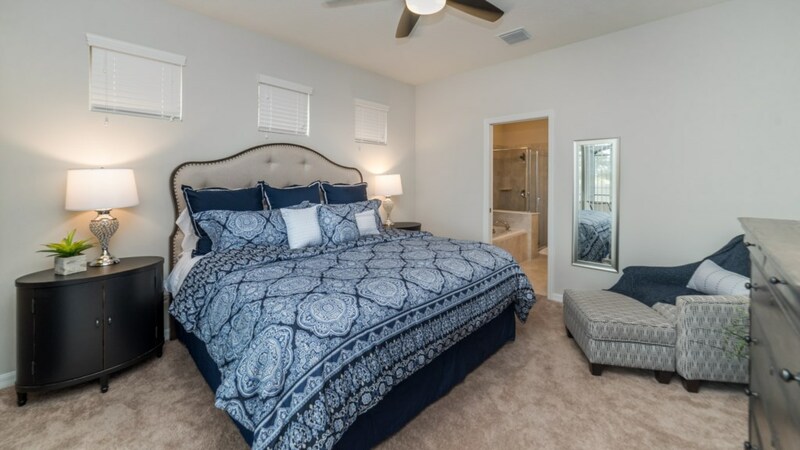 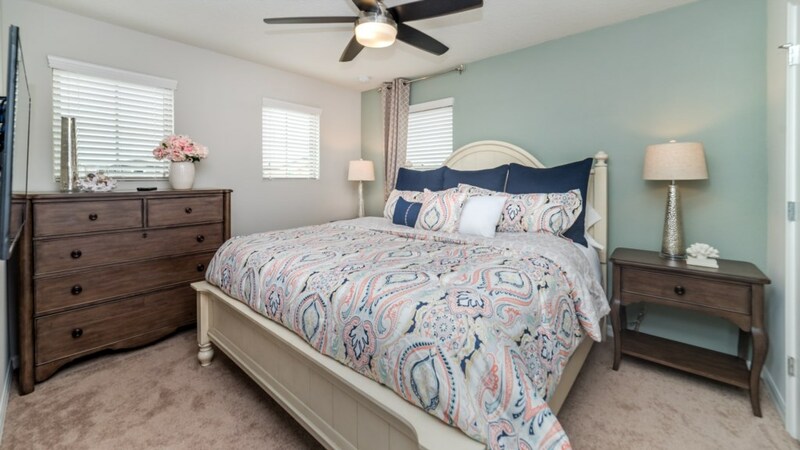 Luxury, immaculate and inviting are a few words that describe this gorgeous home located in the gated resort community of Windsor at Westside. 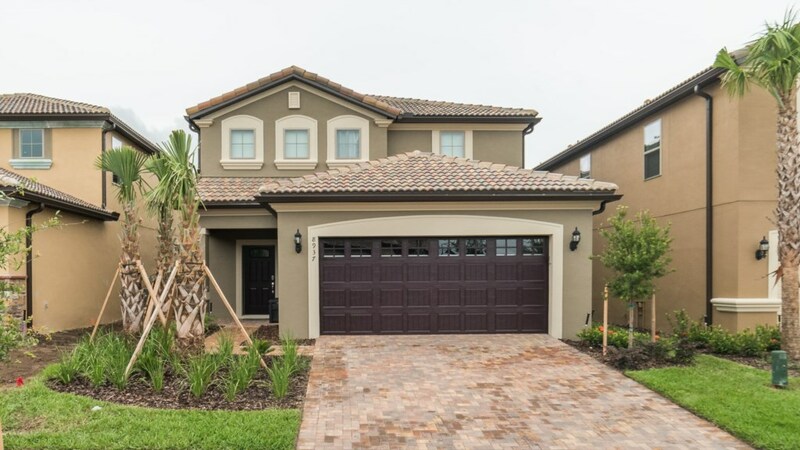 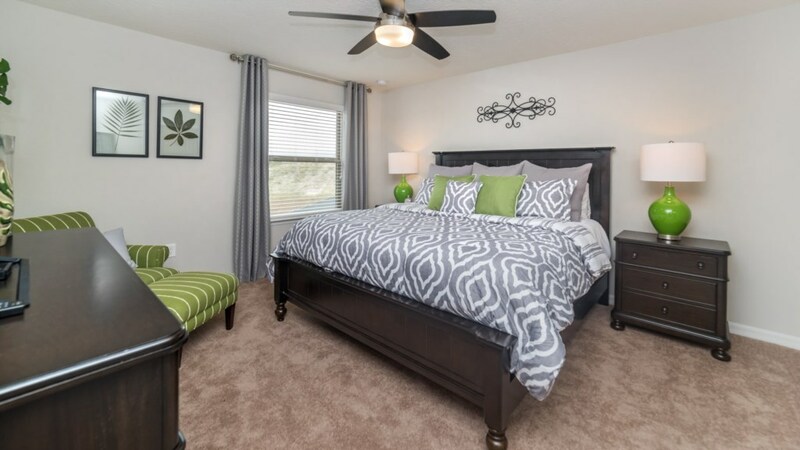 Five bedrooms and 5 bathrooms add to the striking visual of this home. 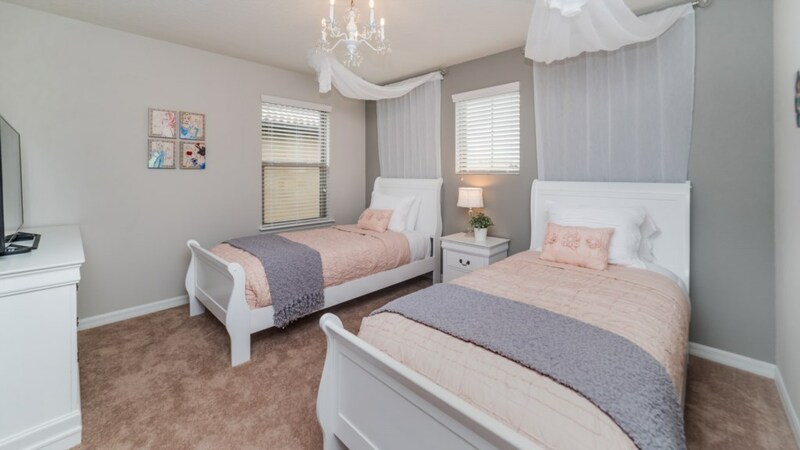 Three rooms with king beds and 2 rooms with 2 XL twins sleep up to 10 very comfortably. 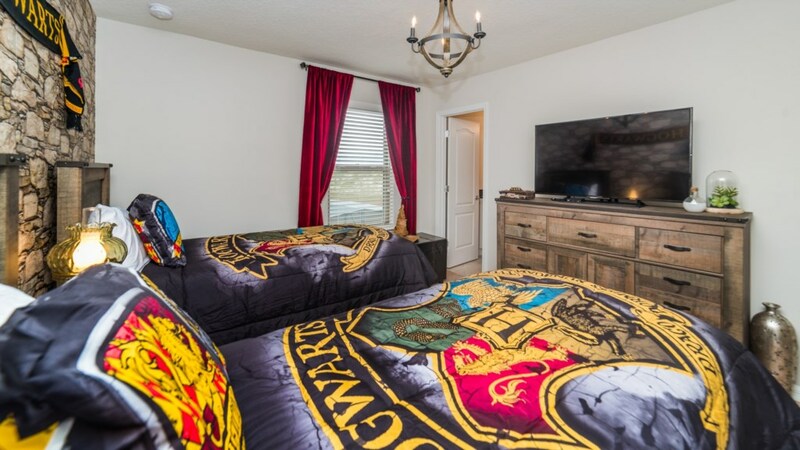 There is also a queen sleeper in the family room for additional sleeping. 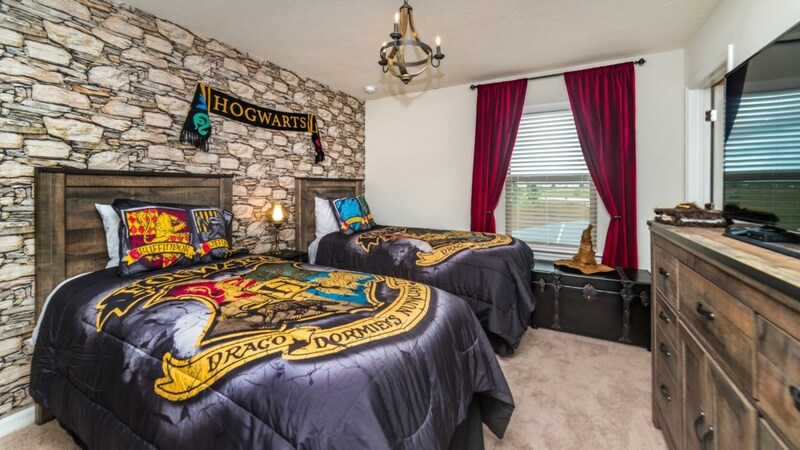 The Harry Potter Themed room is especially fun for the “wizards” in your family. 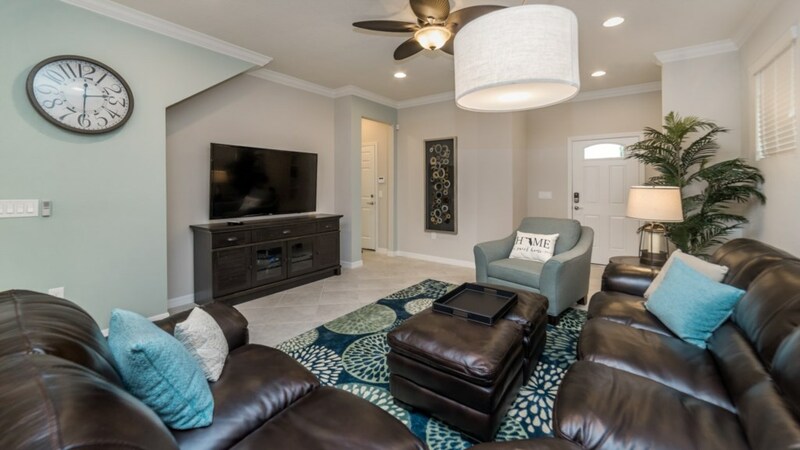 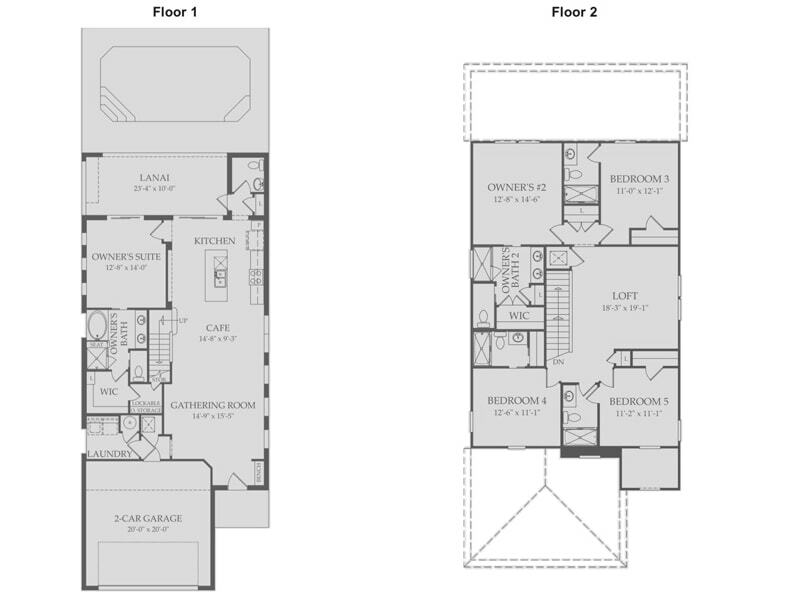 The living room and loft are perfectly placed around 65” flat screens. 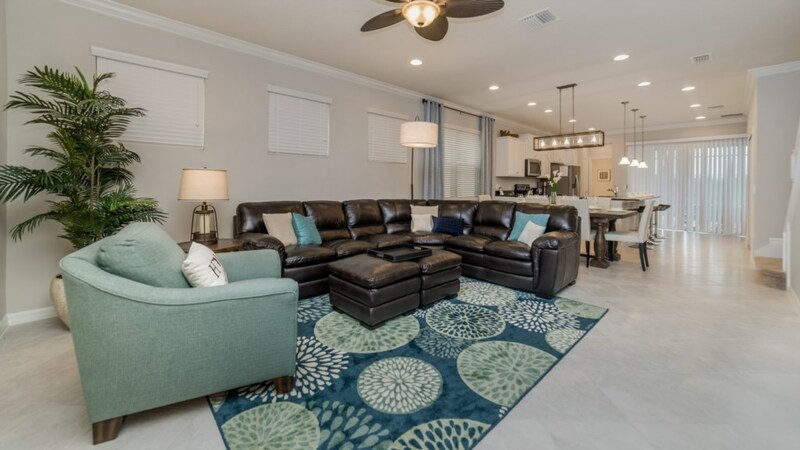 The living room features leather couches and accents of brown and teal. 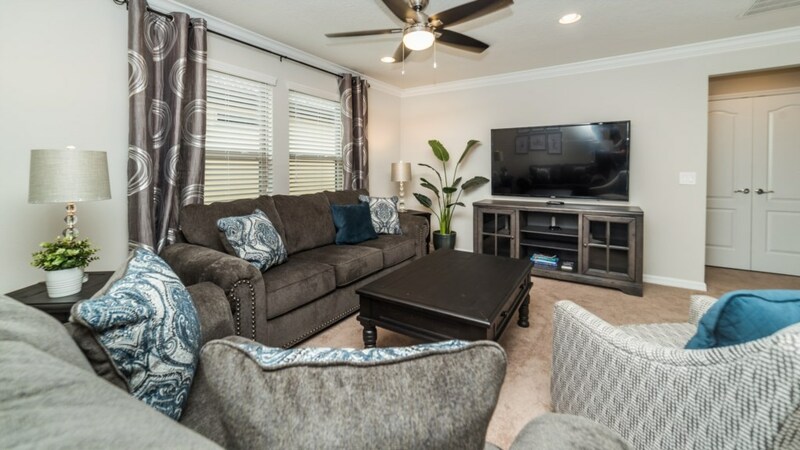 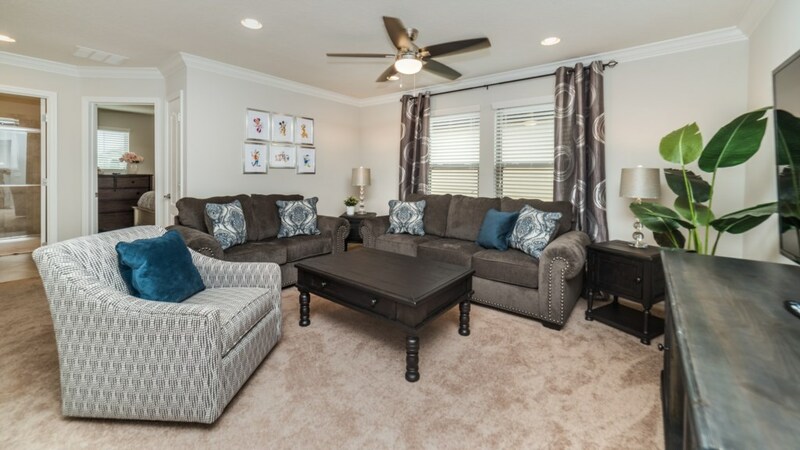 The loft has cozy seating and provides the perfect place to catch up on your favorite movies. 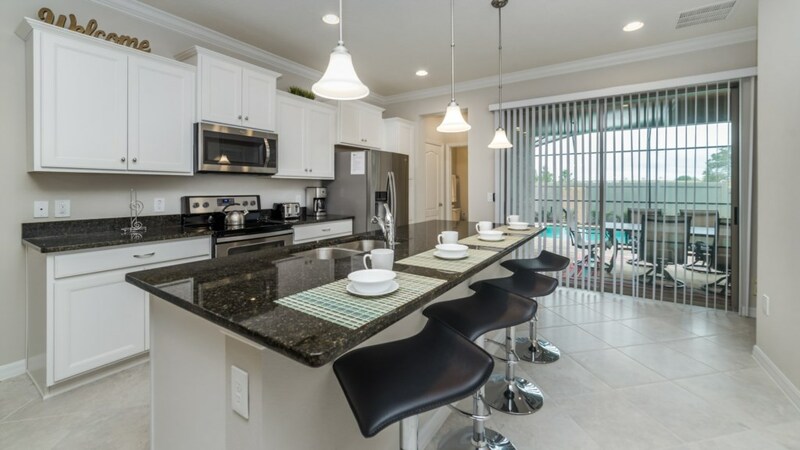 The kitchen here is a chef’s paradise. 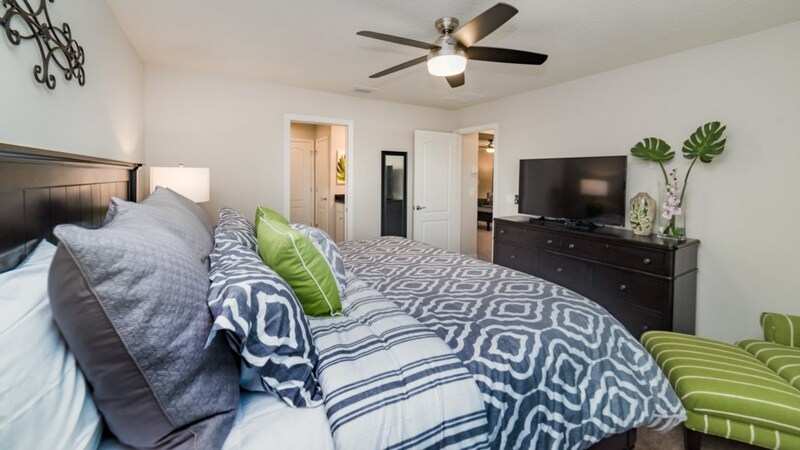 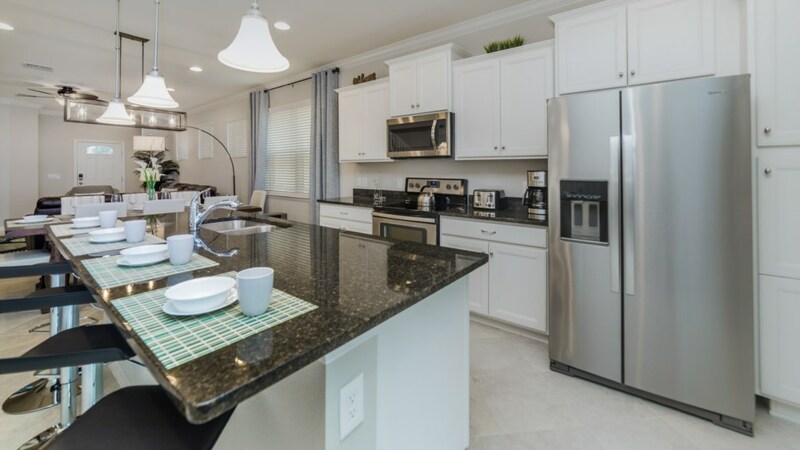 Granite countertops, stainless steel appliances and white cabinetry makeup the best spot to cook up gourmet meals or quick snacks. 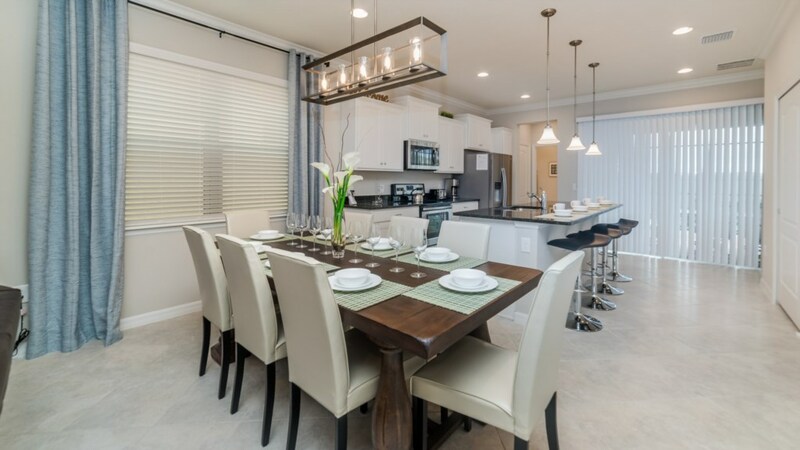 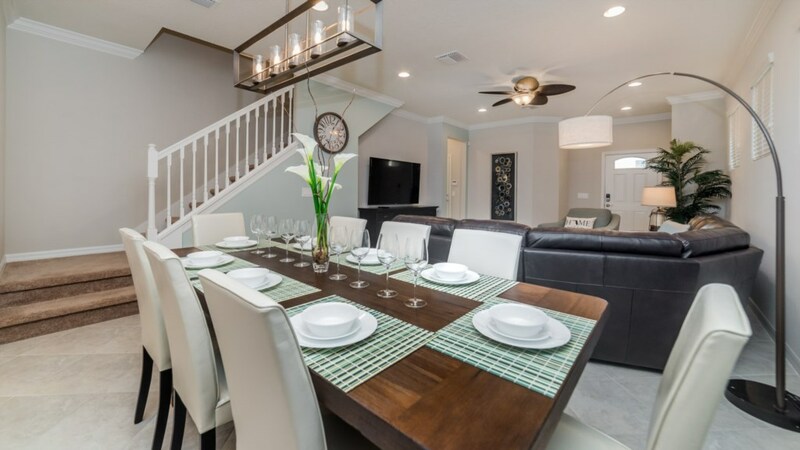 Enjoy all the fruits of your labors at the breakfast bar or 8 person dining room table - each provide a perfect spot to catch up and enjoy meals together. 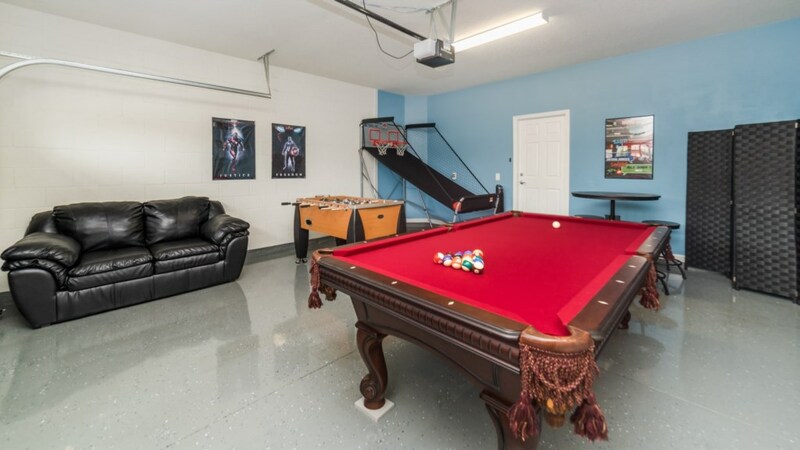 This home also comes with an amazing game room. 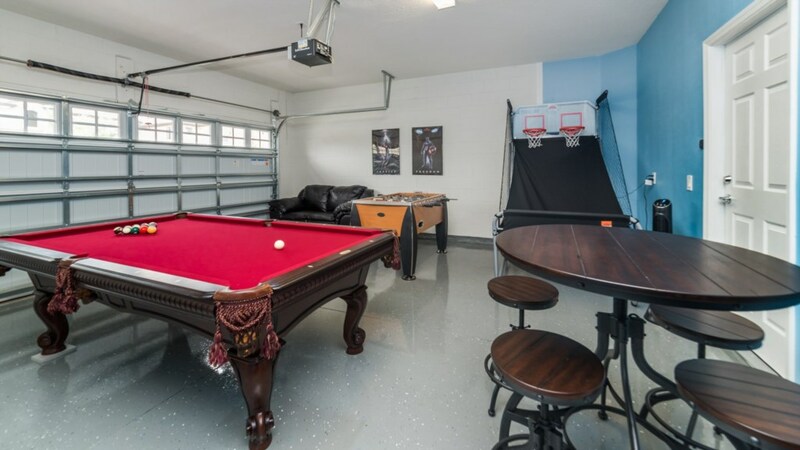 Get together for a family game night and play billiards, foosball and more. 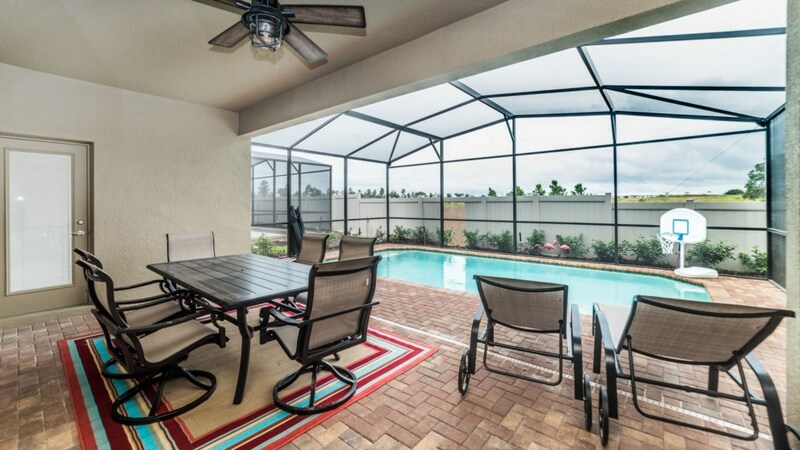 Head out back to the picturesque pool and spa where you can spend all day in the Florida sun. 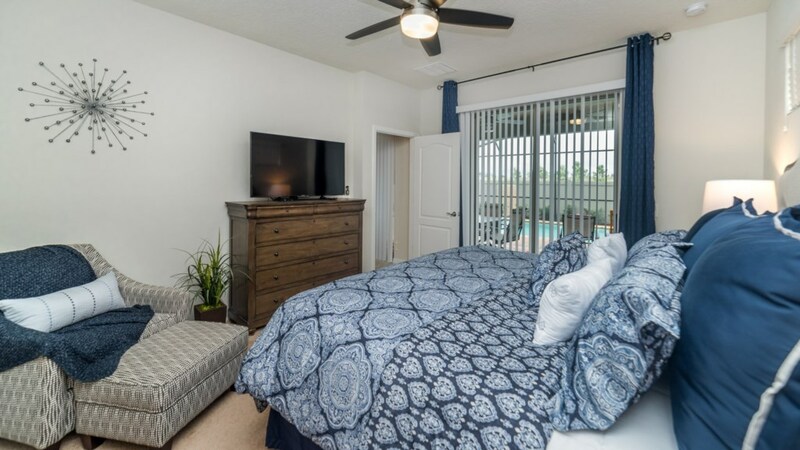 Last but not least, be sure to stop by the Windsor at Westside clubhouse, complete with another gameroom, giant pool and so much more.